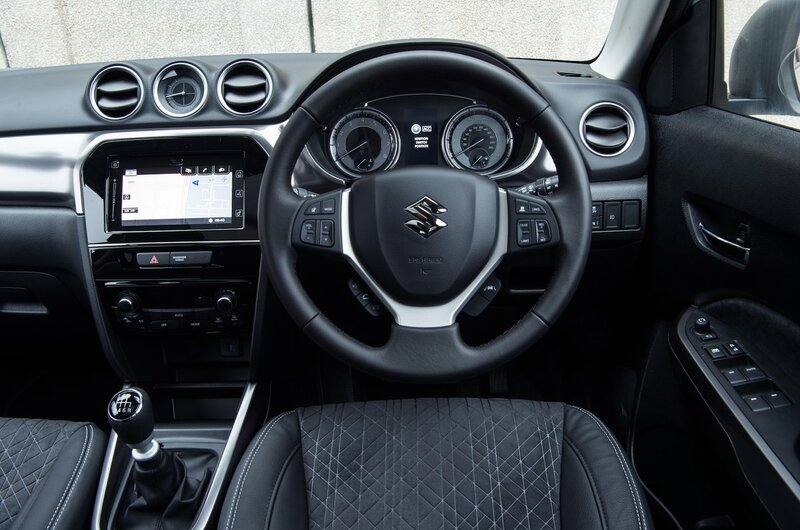 Suzuki Vitara Interior, Sat Nav, Dashboard | What Car? 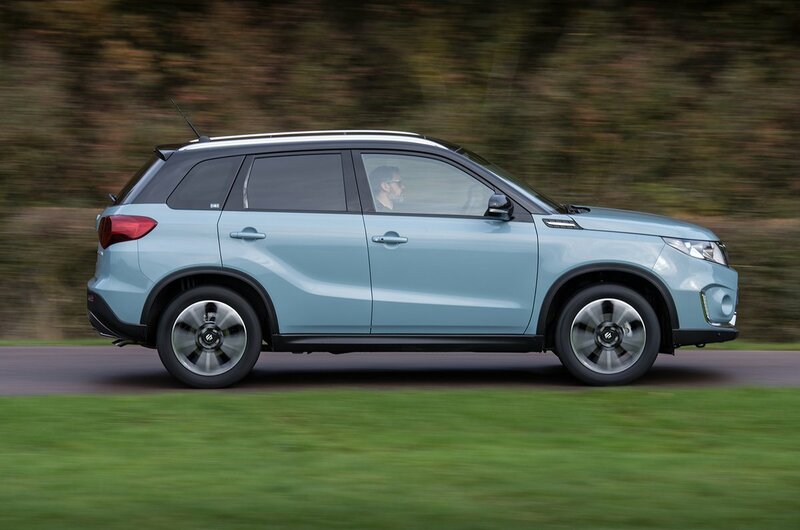 It’s easy to get comfortable in the Vitara. The driver’s seat adjusts for height and the steering wheel for both height and reach. This, in conjunction with a supportive and comfortable seat, makes it easy to find a decent driving position. A little more side bolstering wouldn’t go amiss to grip you tighter through corners, though, and there's no adjustable lumbar support. All of the controls are intelligently laid out and the heater controls are conventional dials and switches. Sadly, that’s not true of some of the stereo buttons – something we will discuss in the infotainment section. 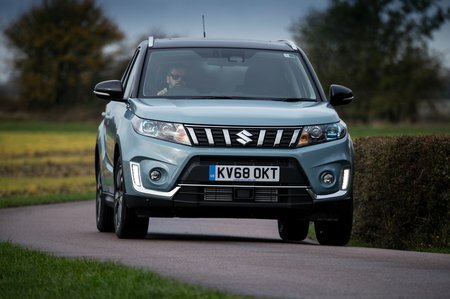 It’s easy to see out of the Vitara, thanks to its box-like body and large glass areas. As with any SUV, the relatively lofty seating position helps, too; if you’re coming from a conventional hatchback, you’ll certainly find it easier to spot what’s going on around you. A rear parking camera is standard on all but the entry-level SZ4 model. If you want front and rear parking sensors, you’ll have to plump for the pricier SZ5 or S trim; you can’t even add them as options on SZ4 and SZ-T models. Go for entry-level SZ4 trim and you’ll get a DAB radio, a USB socket and Bluetooth. The system is very basic but at least it isn’t difficult to use and this is the only trim in the range that comes with a CD player. SZ-T and SZ5 specs, however, get a more sophisticated system with integrated sat-nav and a touchscreen display. You also get Smartphone Link, meaning you can mimic your phone’s screen on the car’s media system. On the whole, the upgraded infotainment system is easy enough to use. However, it can be a little slow to respond, while the functions controlled by the touch-sensitive pads next to the screen – including the volume – would be less fiddly to use if they were physical buttons. All things considered, the systems in the rival Seat Arona and Kia Stonic are considerably better. Quality is not a Vitara strength. The doors and bootlid feel quite light and tinny when you close them, while many of the interior plastics, including those on top of the dashboard and lower down, feel cheap to the touch. The Arona and Citroën C3 Aircross have altogether more modern-looking and modern-feeling interiors. But while the Vitara isn't exactly plush inside, its interior does at least feel durable and well-assembled. And given the Vitara’s low price, the somewhat low-rent interior isn't unlikely to trouble many buyers.